With a shorter height than the crew and lightweight fabric, Icebreaker's Hike Lite Mini Socks offer a lightly cushioned footbed and extreme breathability. With heavy cushioning throughout, the Hike Trek Socks from Icebreaker feature strategic reinforcement zones to ensure maximum support, warmth, and moisture management. With medium cushion, Icebreaker's Hike Mid Socks will see you on long-distance hikes in colder conditions yet still provide temperature control and breathability. With high breathability and light cushioning underfoot, the Icebreaker Hike Lite Crew Socks are perfect for hiking all year round. 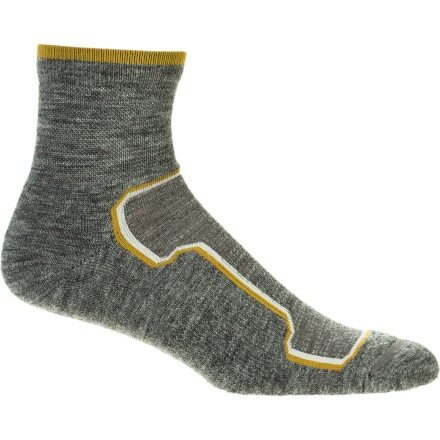 Versatile, efficient, and odor free, the SmartWool Medium Cushion hiking crew socks now feature wool on wool (WOW) technology for greater durability. New and improved with a 4 degree Elite Fit System and ReliaWool high-density impact zones, SmartWool PhD Outdoor Light Mini Socks deliver more comfort with an improved fit and greater durability. New and improved with a 4 degree Elite Fit System and ReliaWool high-density impact zones, SmartWool PhD Outdoor Light Crew Socks deliver more comfort with an improved fit and greater durability. Add a little excitement to your hiking and backpacking adventures with SmartWool's Striped Hiking Socks. 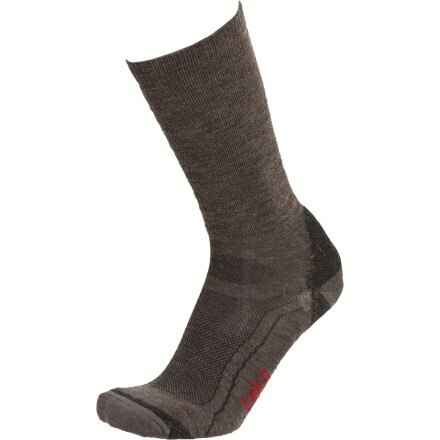 For miles of comfort and Darn Tough durability on the trail, these merino wool 1/4 socks feature high-density terry-loop padding on the foot bottom for an unrivaled level of cushioning performance. With strategic cushioning around the Achilles and underfoot, the exceptionally comfortable Hike + Mid Crew from Icebreaker is ideal for long-distance hikes in colder conditions. 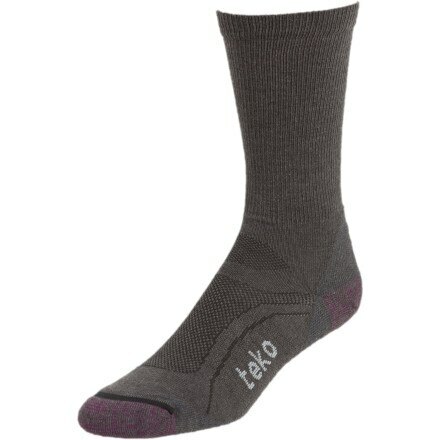 Ultrasoft and breathable, our moisture-wicking merino wool socks provide lightweight cushioning and high performance for hiking, backpacking, and everyday comfort. Soft and breathable, our moisture-wicking Coolmax socks provide midweight cushioning and high performance for running, hiking, backpacking, and everyday comfort. Soft and breathable, our moisture-wicking Coolmax socks provide lightweight cushioning and high performance for running, hiking, backpacking, and everyday comfort. Versatile PhD Outdoor Mini Crew socks feature SmartWool high density impact zone cushioning for added protection and durability. 4-degree fit system and flex zones enhance fit and performance.